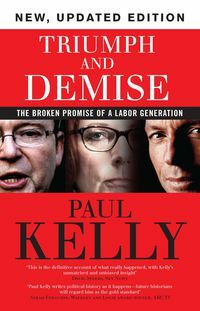 Paul Kelly is Editor-at-Large of The Australian. He was previously Editor-in-Chief of the paper and he writes on Australian politics, public policy and international affairs. 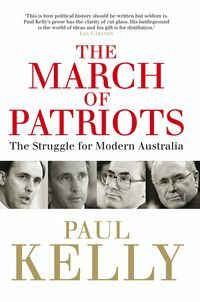 Paul is the author of a number of books including The Unmaking of Gough, The Hawke Ascendancy, The End of Certainty, November 1975, Paradise Divided, 100 Years: The Australian Story, The March of Patriots and Triumph and Demise. In 2001 he presented a five-part documentary series for the ABC on Australia's first century. Paul was Graham Perkin Journalist of the Year (1990) and Weary Dunlop medallist for 2005. He has been a Fellow of the Kennedy School of Government at Harvard University, a long-time participant in the Australia-America Leadership Dialogue, and is a former board member of the Australia-Indonesia Institute.